Leicestershire is right in the centre of England and is one of the many English counties which has no borders on the sea. There's lots to do in Leicestershire, as well as garden centres, including the amazing Space Centre. Possibly best known as the home of Melton Mowbray pork pies. Stilton cheese must come a close second! 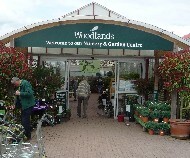 Leicestershire is also home to one of the most respected Midlands garden centres, Woodlands Garden Centre. The foxglove is the county flower of Leicestershire, one of the kings of the perennials. Leicester is the capital city of Leicestershire and quite rightly it hosts many of the area's large garden centres. But don't be fooled though, there are lots of other large and small garden centres in the outlying areas of Leicestershire. Our list below includes Rutland as well as Leicestershire. Beesleys Garden Centre have been in business, run by the Beesley family, for over 60 years, they originally started their business in 1952. Many of the plants they sell have been grown in their own plants nursery ..... Click here for the full review. Brook Lea Nurseries are a traditional plant nursery growing many of the plants they sell. This gives them all the benefits of low costs, low prices and assured quality. They stock a full range of garden ..... Click here for the full review. Brookside Nurseries in Anstey came into being in 1979 with just one large greenhouse. Now, the nurseries span over one acre and include several greenhouses, polytunnels and a gardeners shop. The nurseries are still ..... Click here for the full review. Charlie Browns is a medium sized garden centre which sells a full range of garden plants and trees. They also sell garden pesticides, feeds, tools and other gardening accessories. At Christmas they sell ..... Click here for the full review. Click here for opening times. Click here for our review of the cafe at Gates. The outside plant area is very large and pleasantly designed with the plants displays being set at an angle to each other. The paths are reasonably wide and easy to get round. All were solid surface and on an ..... Click here for the full review. 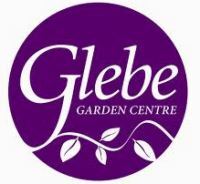 Glebe Garden Centre first opened in 1975 and was bought by the current owner in 1979. The garden centre has undergone two major expansions in 1990 and 2002. They increased the amount of land and also ..... Click here for the full review. Goscote Nurseries don't produce run of the mill plants rather they grow the more unusual plants. They moved to their current location in Cossington in 1969 have started the business in 1964. They have ..... Click here for the full review. Click here for opening times. Click here for our review of the cafe at the Grange Garden Centre. The Grange in Melton Mowbray is a small to medium sized garden centre which has a ski equipment shop attached. A large part of their business consists of the Alpine Restaurant which is rightly well known in ..... Click here for the full review. The Ken Bailey Garden Centre at Wistow Rural Centre is a medium sized garden centre which was first opened in 1999. It stocks all the common shrubs, perennials, ornamental and fruit trees, roses and ..... Click here for the full review. Kibworth is a medium sized garden centre which prides itself on growing many of their plants themselves. As well as the more common shrubs and ornamental trees they specialise in growing herbaceous ..... Click here for the full review. For most of the year Lutterworth Plant and Bonsai Nursery is really a bonsai specialist centre. The nursery was opened in 2004 but the owner's (Richard Franklin) serious interest in bonsai dates back to 1996 ..... Click here for the full review. Palmers Garden Centre in Enderby don't make it into the top 100 UK garden centres by turnover but they celebrated 100 years in business in 2011. In 1911, founders George and Julia Palmer cultivated their ..... Click here for the full review. This is a medium to large sized garden centre which stocks a good range of healthy plants. The interior sales area houses lots of useful gardening accessories, sufficient for almost all gardeners. Gifts and cards are ..... Click here for the full review. Sapcote Garden Centre began life as a plants nursery in 2001 and has continued to grow over the years. They are now a medium sized garden centre which stocks a fair range of plants although these are ..... Click here for the full review. Seagrave Nurseries specialise in larger plants aimed at giving immediate impact. They keep costs very low and this enables them to sell to the public at prices far cheaper than most garden centres. As well as ..... Click here for the full review. Six Acre Nurseries began trading from the current site in 1982 and they sell plants to both the public and wholesale. Many of the plants and trees they sell are grown in their own nurseries. The plants area is ..... Click here for the full review. The plants for sale at Staunton Harold Nurseries tend to be slightly unusual so be aware that some of the more common plants may not be sold. This is good and sometimes not so good depending ..... Click here for the full review. Sunnyside Garden Centre has expanded over the years and stocks a complete range of plants for the amateur and enthusiast gardener. The plants are bought in rather than grown on site although they ..... Click here for the full review. Welland Vale is primarily a wholesale plants nursery which sells plants in bulk to garden centres, landscapers and the general public who require plants in volume. Business began in 1974 when the nurseries ..... Click here for the full review. Click here for opening times. Click here for our review of the cafe at the Woodlands Garden Centre. The plants area is well arranged, although a bit more variety in the rows would have been appreciated. The entire area was clean and free from obstructions and fallen leaves. On the day we visited it was ..... Click here for the full review.